Some moms-to-be are concerned with the poison ricin, which is contained in the hull of the castor seed. However, since the hull is removed before the seed is pressed the oil is not contaminated with the poison and therefore poses no risk to anyone. While it is true that midwives may suggest drinking two ounces of castor oil as a traditional remedy to induce labor for at-term or overdue pregnancies, the amount used in our products, applied topically, will not in any way stimulate the same effect. Castor seed oil is an excellent anti-inflammatory agent, useful for reducing redness or swelling in skin. This medicinal oil naturally contains a beneficial mixture of triglycerides or fatty acids. Castor seed oil comprises abut 90% hydroxy fatty acid ricinoleate (ricinoleic acid), which inhibits the growth of many viruses, bacteria, yeasts, and molds. Castor oil also has remarkable analgesic effects as well as being a great skin protector, an emollient, and moisture barrier that makes it perfect to protect skin in harsh, dry environments. Castor seed oil also holds tints well in color make-up. As with castor seed oil, the concerns about using St. John’s Wort topically come down to a matter of degree: pregnant and nursing moms simply are not exposed to enough of the herb through the skin to impact a pregnancy or the baby. In fact, at low oral doses, St. John’s Wort poses a very low risk to babies in utero and is used an antidepressant for pregnant women. 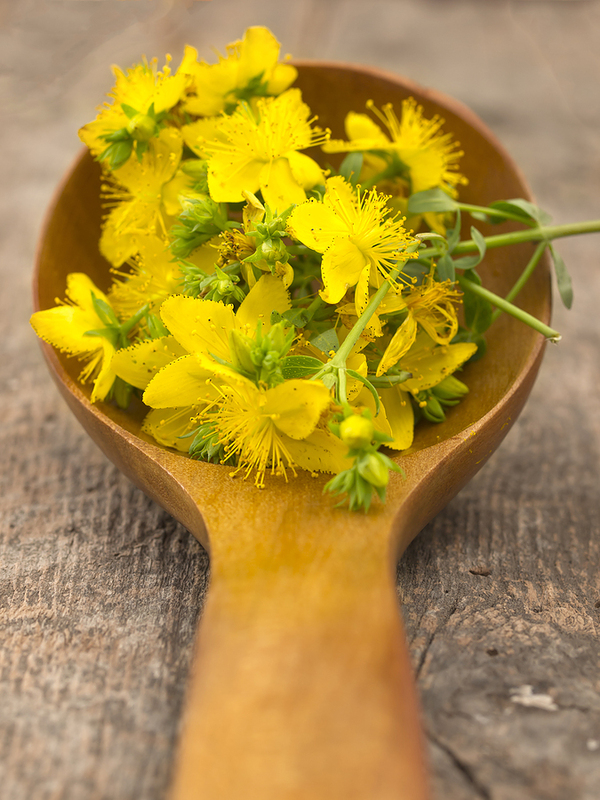 In terms of its benefits, St. John’s Wort contains hypericum oil, which is known to aid with capillary circulation and for healing wounds and burns. The oil is also a rich source of antioxidant, anti-inflammatory, anti-cancer and anti-microbial properties. Finally, the herb rosemary is considered safe for expectant moms to eat in the usual quantities found in recipes. Pregnant women are only cautioned against using rosemary oil in large quantities for medicinal purposes. Again, the difference is the quantity consumed and the difference between applying topically versus oral consumption. When applied topically, antibacterial rosemary oil can be analgesic and is approved by the German Commission E to treat muscle pain and improve circulation. As with all things, consult with your health care practitioner about what is right for you during your pregnancy.